We are a leading Exporter of thickness gauge, length gauge, cylindrical measures instruments, aggregate impact tester, dorry abrasion testing machine and metal measures instruments from Ambala, India. Specifications: It Consists of a frame with a sliding panel. The panel slots of different standard length and widths accurately cut. Advanced Technocracy Inc. is Manufacturer, Exporter & Supplier of Length Gauge. 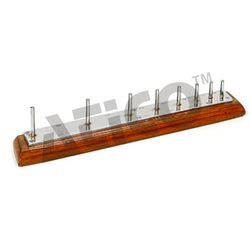 Specifications: Consists of a hard wood base with vertically mounted metal studs . Advanced Technocracy Inc. is Manufacturer, Exporter & Supplier of Cylindrical Measures. Specifications: Calibrated cylindrical measures of sheet iron with handles. 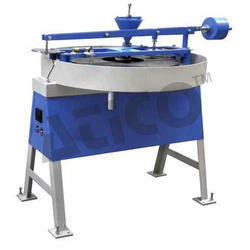 Consists of 3 measures one each 3 liters capacity, 15 liters capacity and 30 liters capacity. Complete with one tamping rod, round, 16mm dia. and 600mm long, one end rounded. 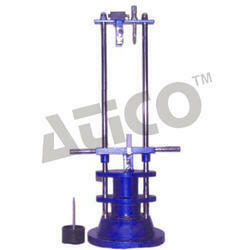 Advanced Technocracy Inc. is Manufacturer, Exporter & Supplier of Aggregate Impact Tester. 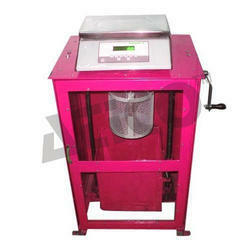 Aggregate Impact Value Test Apparatus is used for determining the aggregate impact value. The Sturdy Construction consists of a base and support columns to form a rigid framework around the quick release trigger mechanism to ensure an effect. Advanced Technocracy Inc. is Manufacturer, Exporter & Supplier of Dorry Abrasion Testing Machine. It consists of a disc rotating about a shaft connected to a reduction gear box coupled to a motor. The disc rotates at 28-30 r.p.m. Under the rotating disc is a tray with an outlet to facilitate the removal of sand. Two conical hoppers are mounted on a bracket fixed to the circular tray. An arrangement is made for start and stop the flow of sand. Two holes are provided for mounting two specimens simultaneously. Two containers with weights are supplied to keep the specimens pressed against the rotating disc. Suitable for operation on 220 volts, 50 cycles, A.C. supply. Advanced Technocracy Inc. is Manufacturer, Exporter & Supplier of Metal Measures. 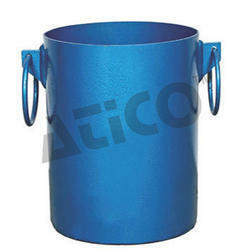 Made from steel iron, complete with handle, capacity 10 liters or 20 liters. Advanced Technocracy Inc. is Manufacturer, Exporter & Supplier of Specific Gravity And Water Absorption of Aggregates. 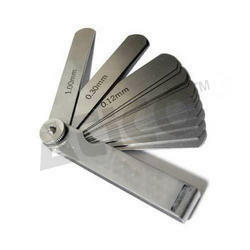 This set is used for specific gravity, apparent specific gravity and water absorption. balance to suspend density basket under material pan. · Balance is supplied with necessary set of weights. · This balance is mounted on an angle iron frame stand. 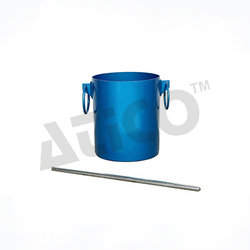 · Water tight container to suspend density basket. · GI Tray of area not less than 650 cm sq. · Absorbent cloths 75 cm x 45 cm. Laser Spectrometer a advanced deluxe spectrometer of size 7" similar to cat No. 1588. In said spectrometer, we have made arrangement for Diode laser & detector instead of telescope & collimator. Diode laser is held in support rigidly & in perfect alinement at the place of collimator. Similarly output detector is held in support rigidly & in perfect alinement at the place of telescope. Vertical adjusting screws to aline the diode laser & detector. Supply with grating holder, grating, diode laser with power supply and output detector with digital meter. 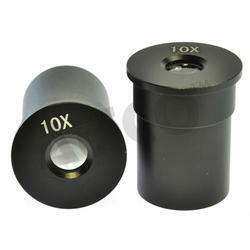 Superior quality 10x Ramsden eyepiece, with cross line graticule fitted inside the eyepiece. Clients can avail from usRamsden eyepieceas we are a leading manufacturer and supplier ofRamsden eyepiece.Ramsden eyepieceis used instead of a standard eyepiece in a microscope and used not only to see very small things but also for measurements. Designed with a series of numbered lines inside, micrometer eyepiece looks like a ruler. A calibration slide is used after the placement of micrometer eyepiece in the microscope. 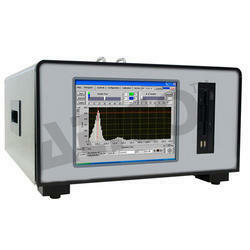 Looking for Aggregate Testing Lab Equipments ?